Random Objects Saving Lives | hesaidwhatnow? Life is a funny thing. You could be going about your day the same as any other, when danger suddenly decides to pay you a visit. Next thing you know you are faced with an armed robber, a runaway train, or a horde of sharks pummelling down at you from a tornado. When confronted with unexpected life-threatening danger, there’s usually only one thing that can save you: dumb luck. Here is a collection of people who survived near-death experiences with no thanks to skill or quick thinking, but to random objects saving their lives. …except that the bullet struck the wad of bank notes Pereira had stuffed into her bra. Pereira’s secret wad of hidden money absorbed enough of the impact of the bullet that her life was saved, although she still had to be taken to hospital to have the bullet removed. It seems that money can’t buy you happiness, but it can buy you a reprieve from death. It’s also an alternative to surgery when looking to achieve a fuller, perkier look. This smart lady is taking sensible measures that could save her life. Amazingly that isn’t the only case of money stopping a bullet. Elizabeth Pittenger, 22, had just stepped into her truck on campus at Middle Tennessee State University, US, when a man pulled a gun on her and demanded her phone, purse and laptop. Pittenger refused to give up her possessions, and in an unorthodox move to avoid danger, got out of the truck “to keep a struggle going”. She got what she hoped for, the man shooting her with a .38 calibre revolver, before fleeing the scene. Even though she was shot from just four feet away, Pittenger survived, thanks to a random object. Like most women, Pittenger was carrying an oversized purse chock full of an assortment of items (most of which she probably never uses – am I right?!). Thanks to being so full of junk, the bullet was lodged in her purse and didn’t even make it through the other end, acting, as it were, like a bulletproof vest. Some of the contents of her purse included a calculator, umbrella, a sunglasses case, and a bullet. Accessorising can not only make or break an outfit, but also the trajectory of a deadly projectile. Juan Camarena was also shot at close range and lived to tell the tale. Camarena, 54, was sweeping the floor of an apartment building in Harlem, New York, after being hired by the building’s new superintendent. Unfortunately for him, the building’s old superintendent was not happy about being fired, and showed up to the building to confront his replacement. Seeing Camarena instead, the man kindly suggested that he, “Get the [fudge] out of here.” Camarena continued with his work, and so the man pulled out a gun and shot him from 5 feet away. David Fitzherbert of West London was enjoying a spot of skiing in Switzerland when he almost suffered an untimely death. He was skiing down a glacier on Switzerland’s Matterhorn when the snow gave way beneath him, causing him to plummet 20m down a crevasse. He was about to fall through the bottom and plunge to his death, when the gap narrowed. The gap was just large enough that Fitzherbert would have fallen through, but he survived. How? 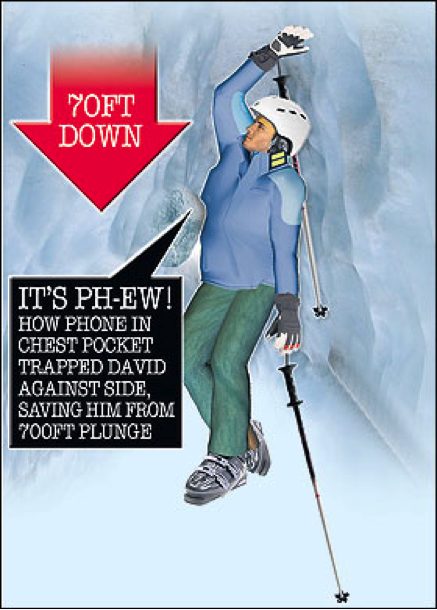 He had his BlackBerry mobile phone in his jacket pocket, and it caught on a ledge, preventing him from falling. No doubt it was the only time Fitzherbert had been happy to be put on hold. We’ve all been in this situation before. The BlackBerry was sturdy enough to keep Fitzherbert safely wedged within the crevasse for two whole hours until he could be rescued. Not only that, but after being taken to the hospital (Fitzherbert broke his jaw, cracked a rib, smashed his teeth, and almost had his nose completely torn off) he was able to use his phone to call his wife and let her know that not only was he alright, he had never been more grateful to be stuck on the phone. Perhaps the greatest example, however, of being saved by a random object happened in 2011. Israeli “model and actress” (if you know what I mean) Orit Fox was appearing on countryman DJ Shmulik Tayar’s radio show. As part of the show, Fox was fondling and licking a poisonous snake (as you do). It’s not clear whether the snake realised it was being handled by one of its mortal enemies – the Fox – or whether it was aroused by the fondling and thought it would reciprocate, but the snake lashed out at the model. And latched on to her breast. I know what you’re thinking, and yes, that’s hilarious. But it was also life threatening; or at least it would have been had Fox not been saved by a random object. Yes, Fox’s ginormous, perfectly shaped breasts were not, as it turns out, natural, and the extra padding bore the brunt of the snake’s fangs, leaving Fox’s breasts untouched (a situation that doesn’t occur very often for Fox I’m sure). The tale does have a sad ending however. A few days after the incident, the poor snake passed away, dying from poisoning. In a complete turn of the tables, the snake was poisoned from a most unlikely source: Fox’s silicone implants. Yes, the snake punctured Fox’s implants and the leaking silicon killed it. Talk about having a killer body. If only the snake had a wad of cash or a phone in its mouth it might still be alive. 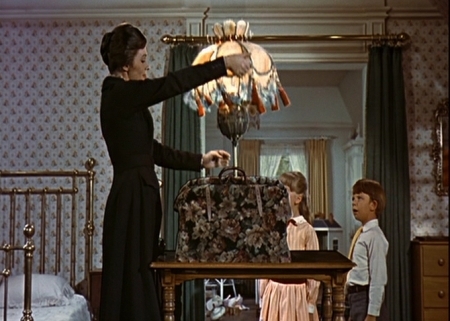 Perhaps its memory lives on – as an oversized purse.